Two high-voltage games and at the end, Spain and Portugal have managed to qualify to the knock-out stages of FIFA World Cup 2018. 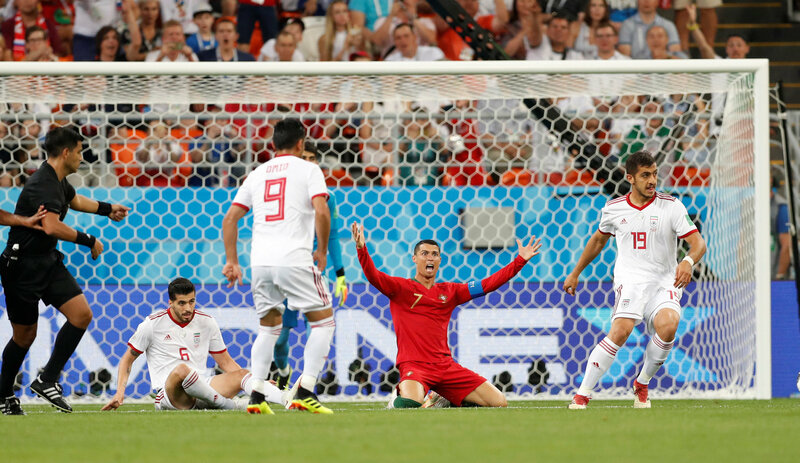 Iran displayed a valiant show to get the better of Cristiano Ronaldo’s Portugal, but despite their courageous display they managed to get only a draw. Ricardo Quaresma curled a shot into the far corner in the 44th minute to give Portugal the lead. They were given a chance to double their lead as VAR overturned referee’s decision and awarded a penalty, but Cristiano Ronaldo’s low-driven shot was saved. However, the Iranians restored the parity in the injury, as Ansarifad converted from the spot-kick. Elsewhere, both Spain and Morocco went nip-and-tuck in the game. Morocco took an early lead in the 25th minute of the game as Boutaib capitalized on a Ramos’ error to score past David Gea. However, the Spaniards responded positively and had the equalizer 4 minutes as an Iniesta masterclass saw Isco tapping it into the back of the net. Morocco again took the lead in the 81st minute of the game as Nesyri’s thumping, bullet header went past a hapless David de Gea. Aspas equalised the scorecard for Spain in the injury-time. Portugal will face Uruguay in the pre-quarters, while Spain will face hosts Russia.